October is “Residents’ Rights Month,” an annual event designated by Consumer Voice to honor residents living in all long-term care facilities. It is an opportunity to focus on and celebrate awareness of dignity, respect and the rights of each resident. The federal Nursing Home Reform Law guarantees residents’ rights and places a strong emphasis on individual dignity, choice, and self-determination. The law also requires nursing homes to “promote and protect the rights of each resident”. Residents’ Rights Month is a time to raise awareness of these rights and celebrate residents. 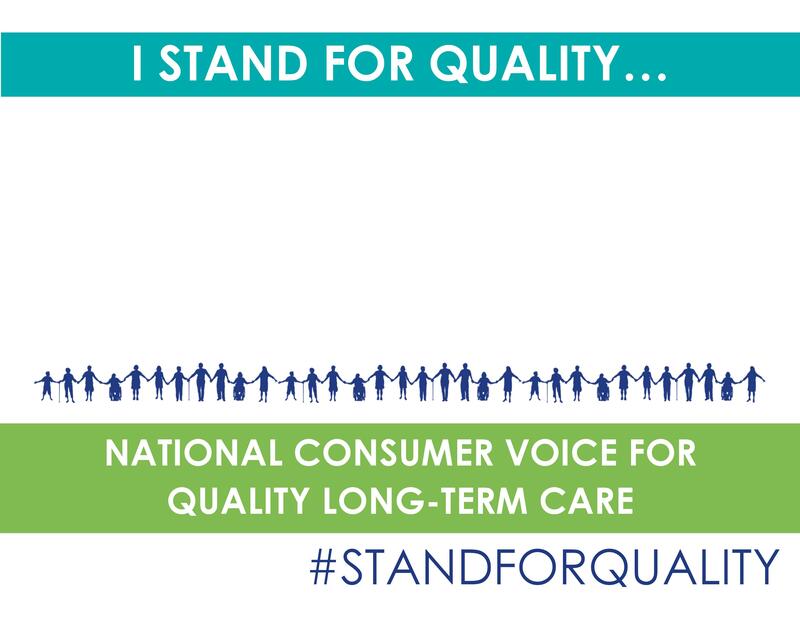 This year's theme, "Stand for Quality," emphasizes the importance of quality in all aspects of residents’ experiences – quality care, quality of life, quality services, and quality choices – to name a few. Residents’ Rights Month is an opportunity for staff, families, ombudsmen, residents and other advocates to to work together to stand for and promote quality. Find more information by reading the Residents' Voice guidelines here. 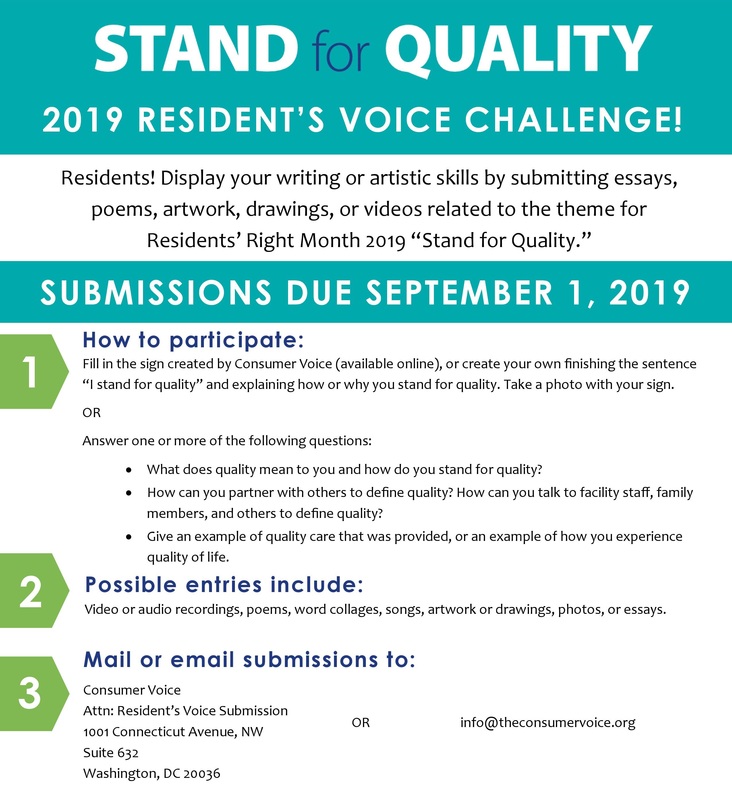 Spread the word about the Resident's Voice Challenge with this flyer. We especially love videos! No need for fancy equipment; cell phone video will work great! Each participant featured in a photo or video must fill out a release form.